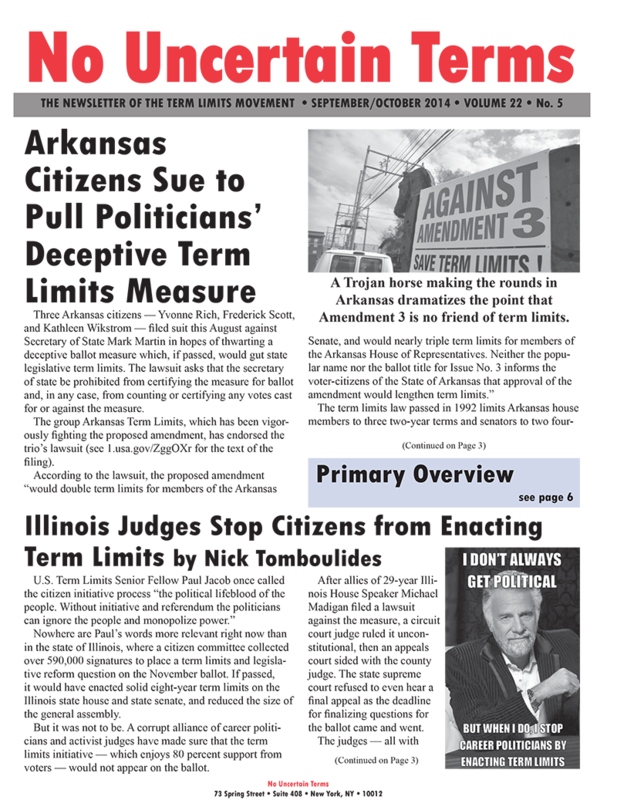 Published bimonthly and mailed to homes across the country, “No Uncertain Terms Newsletter” has been publishing relevant term limits related articles since 2012. 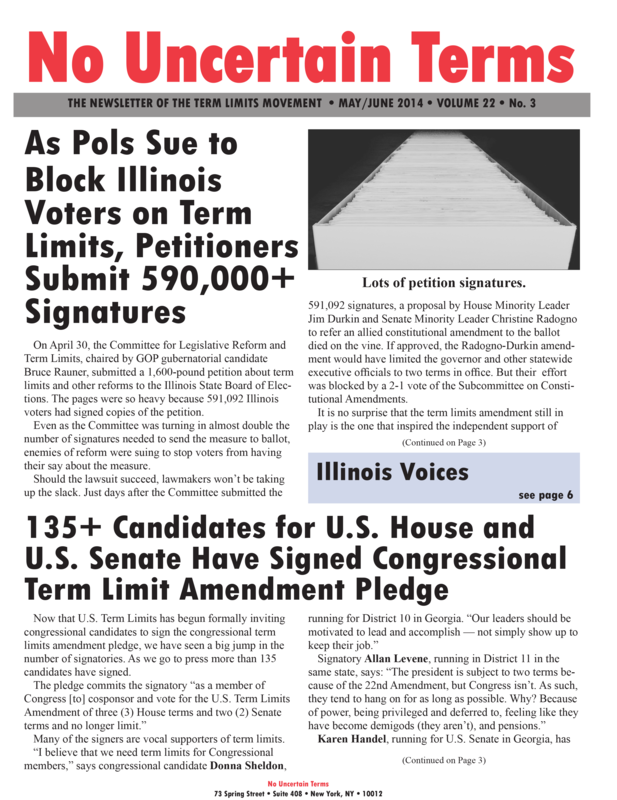 In each issue, you’ll get details on the latest news on term limits topics from local city councils to our progress on getting term limits on Congress through an amendment to the U.S. Constitution. 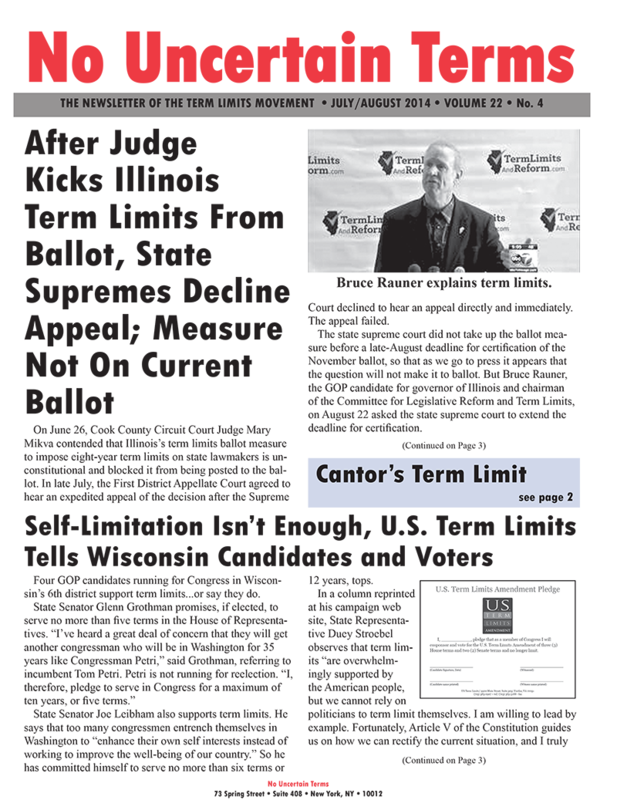 If you know of any term limits shenanigans by politicians, or any champion work by supportive legislators or activists, please send a message to nut@termlimits.com. 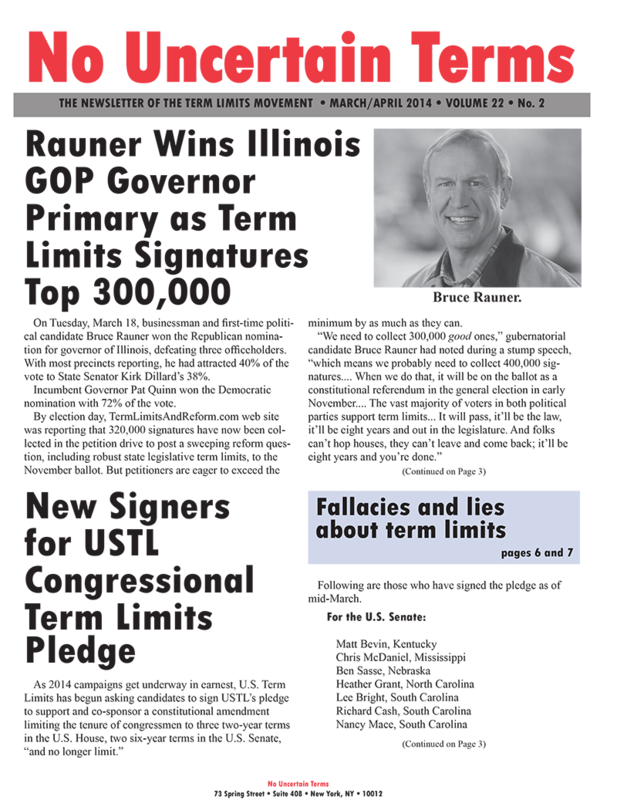 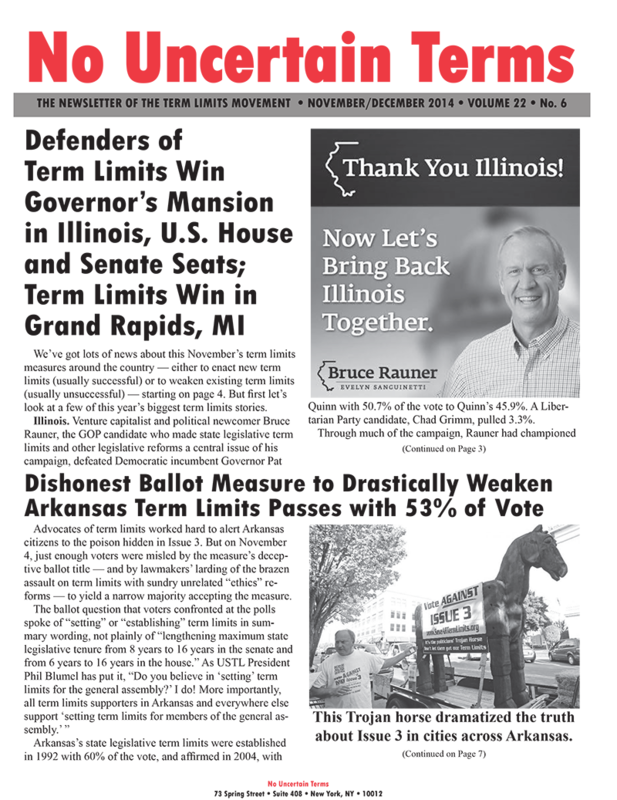 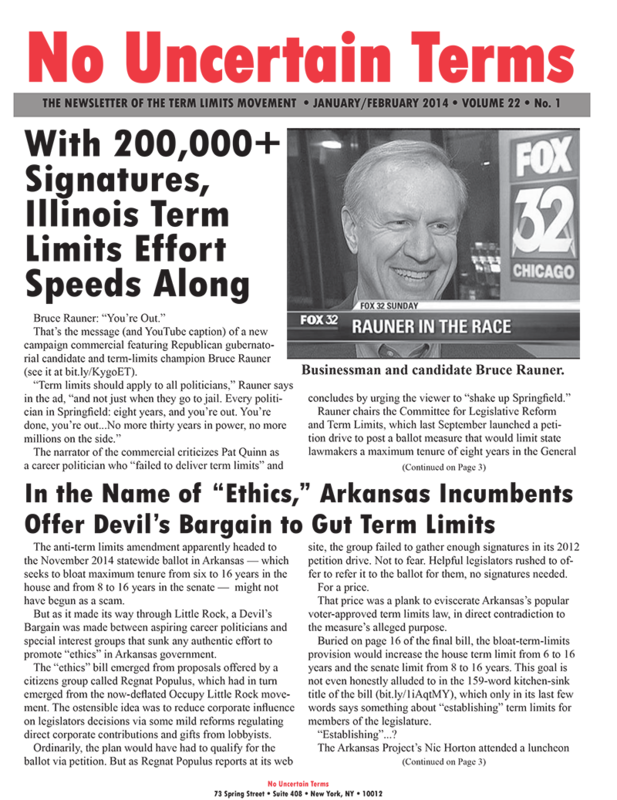 Rauner wins; will term limits?